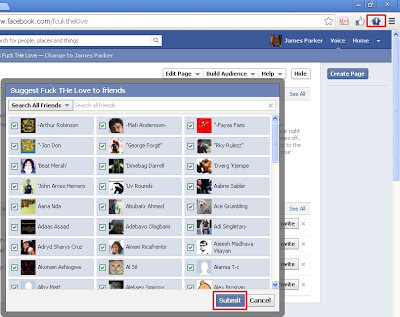 This trick helpful for those Facebook user which have to many friends in there account and they want to invite them all into event, page or group. But they find it very difficult because if have 1000+ or much more friends. Then to invite all friends selection one by one take your lot of precious time. But Now Using this simple trick you can invite your all friends in just a one click.
" This trick only for Google Chrome "
After installing the extension Open you facebook event/page/group invite friends window. Now your all friends will select automatically. 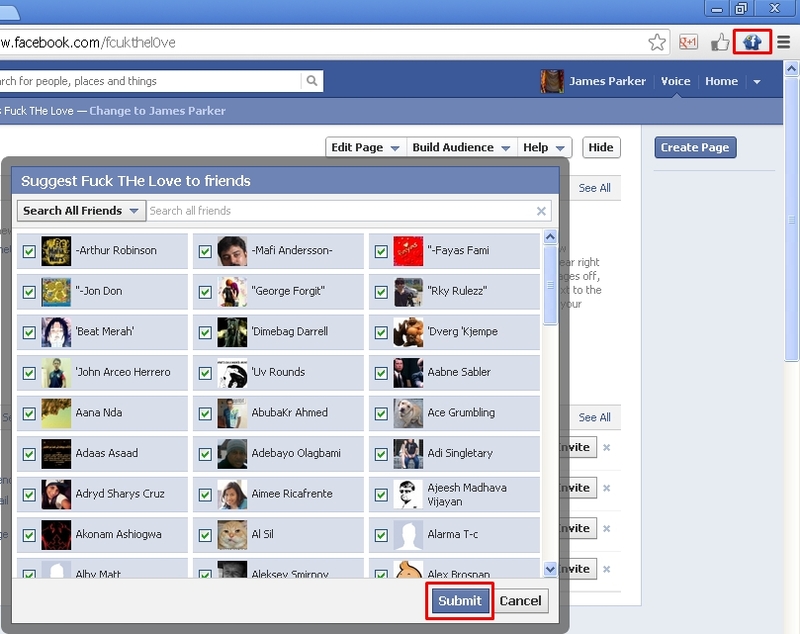 Facebook Invite Them All now at Ver.3 Support all major Browsers. I created a small Facebook app that lets you select a list of friends and invite the whole list to your event. You can check it out at lisvite.com. There is no code to write. Just select your event, your list of friends and go. Please let me know if anything does not work as expected. getting familiarity everyday by reading thes nice articles. It's awesome to pay a visit this web site and reading the views of all colleagues regarding this paragraph, while I am also eager of getting knowledge.